Zybez RuneScape Community was shut down on September 17th, 2018. You're viewing an archive of this page from 2018-12-02 at 04:15. Thank you all for your support! Please get in touch via the Curse help desk if you need any support using this archive. 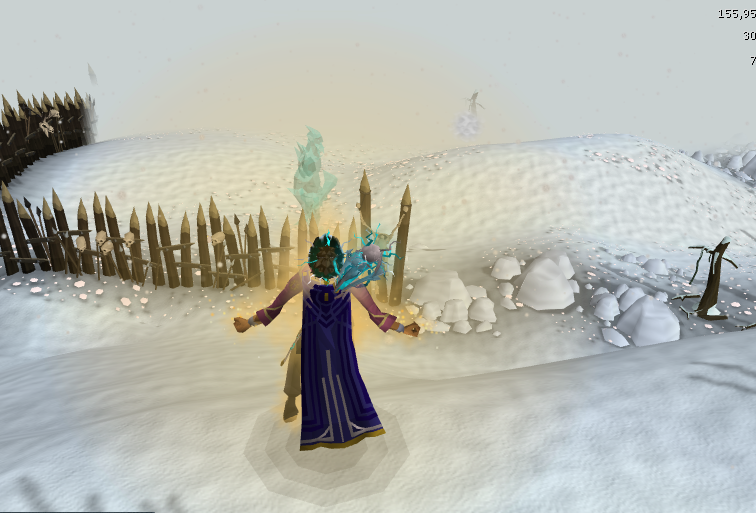 It has been just a bit less than 11 months since I achieved the purple 80 milestone cape. While spending a fair amount on summoning yesterday, I now present to you .... my Milestone 90! Edited by Ninjastreak2, 08 August 2013 - 9:38 PM. All stats 90+ is a nice achievement. Any new plans you've got? A skill you're going to train in particular? Congratulations! I completely forgot about those milestone capes. What do you plan to do next? Congratulations, the graphics on RuneScape 3 now look amazing. Awesome job, I was going 90 in all skills as well until I saw that I need 10 farming levels and I decided to postpone that goal of mine. Are you planning on Maxing in the coming year? I guess I'll try out some things that I never really got to do during skilling. QBD and GWD bosses are on my list of things to do, along with minigames like Livid Farm and Kiln. Thanks! Definitely agree that farming was one of those that I didn't really like because of a money sink. I used to do lots of herb runs between skilling... which eventually led to a big part of my farming xp and some profit. I also started doing tree runs earlier this year, but that's a huge loss. I warbanded 88-92 farming (though haven't since the nerf)... it's something you could take advantage of for nice, free xp. Edited by Ninjastreak2, 08 August 2013 - 9:34 PM. Been real getting to know you in Zclan, best of luck with the next stretch of your goal! Nice, pretty amazing goal you just accomplished Keep setting new goals and reach new heights! Congratulations on 90+'s. Good luck on whatever is next. Congratulations on 90 summoning alongside hitting the 90+ in all skills as well, keep at it, now you are on the home run for a majority of the skills, all the best Ninja! Grats on achieving the level 90 milestone cape goodluck on joining the max cape club. 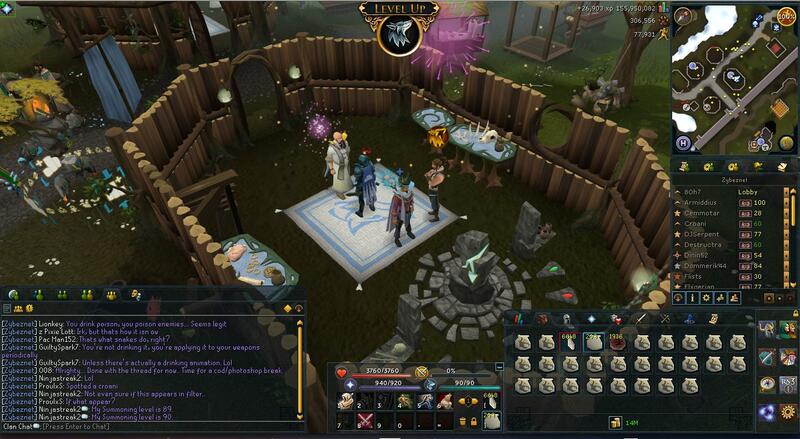 Summoning is a really useful skill, certainly worth levelling! Hope you're looking forward to the next two "big" milestones, being 96 and 99? Pack yak will really help you out in general, one of/if not the most useful familiar. Need a friend? Add me. Thanks, I left it til the last minute because it seemed sooo costly! Took some time to get 90+, but it's worth it so far. It's so much easier said than done, I found out... but I'll remember this accomplishment for a long time. Thank you! It seemed so expensive that it drained my cashpile, which isn't much . I wish I had gathered many things beforehand instead of resorting to buying everything... but I'll remember this next time. I'm not yet sure about my next summoning goal... 96 seems very far away still, but I'll get there eventually. I can't help you if you think there's too many smiles up there^ It's just an illusion. Edited by Ninjastreak2, 09 August 2013 - 11:15 AM.